In November 2018, Brazilian exports of wood-based products (except pulp and paper) increased 24% in value compared to November 2017, from US$243.2 million to US$301.1 million. This performance extended into December 2018 when exports of wood-based products (except pulp and paper) increased 5.2% in value compared to December 2017. November Brazilian pine sawnwood export values increased 28% year on year and export volumes expanded almost 25% over the same period, from 213,700 cu.m to 266,700 cu.m. The growth in both export values and volumes extended into December when export values increased 9% year on year and export volumes grew almost 10% over the same period from 201,000 cu.m to 220,600 cu.m. The positive market developments continued with tropical sawnwood exports the volumes of which increased 32% in November 2018 while export values rose almost 20% from US$19.2 million in November 2017 to US$ 23.0 million in 2018. In December there was an even sharper growth in export volumes (+23%) from 42,700 cu.m in December 2017 to 52,500 cu.m in December 2018 at the same time export values in December also rose 8%. 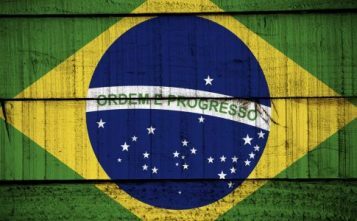 Brazil's November 2018 pine plywood exports increased around 8% in value year on year from US$ 55.0 million to US$59.3 million but export volume growth was lower at around 5% from 180,100 cu.m to 188,800 cu.m. 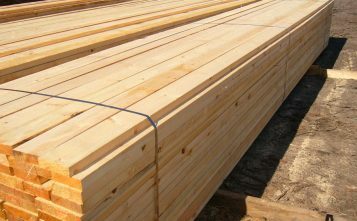 There was a further modest increase (1.5%) in pine plywood export values in December and export volumes grew faster at around 8% from 177,800 cu.m to 192,300 cu.m. The positive developments in demand did not spill over to tropical plywood where, in November, export volumes fell 26.0% year on year 15,400 cu.m in November 2017 to 11,400 cu.m in November 2018. The value of November exports was also down around the same level (22%) from US$6.2 million in November 2017 to US$4.8 million in November 2018. There were further declines in the value and volume of tropical plywood export in December 2018 compared to a year earlier. Export values for Brazilian wooden furniture rose from US$41.2 million in November 2017 to US$49.0 million in November 2018 an almost 19% rise. This upward trend continued into December 2018 where export values rose from US$43.9 million in December 2017 to US$50.5 million in December 2018, a 15% rise.